Whether it’s being in the kitchen baking/cooking, creating new craft projects, or searching the Pinterest world for new decorating ideas I absolutely love finding ways to release my creative energy. One area that I’m no expert on but have increasingly grown interested in is interior design. I’ve had to move around a lot more in NYC than I would have liked to. Whether it’s changing roommates/living situations or upgrading to a bigger place, I’ve lived in a handful of different sized and shaped apartments over the past couple of years. Each time I moved I would get an urge to redecorate and create a new unique space. When I moved into the apartment I’m currently in I really got into designing it and making it my own. I was excited when the team from Lladro reached out about working together on a content piece. Lladro started out around 1950 making small porcelain sculptures by hand in Spain. Since then, they’ve expanded to various products for the home. After visiting their showroom, I became obsessed with their new lighting pieces. Before visiting the Lladro showroom, when I thought of porcelain products I would think of high quality goods but with an outdated style. 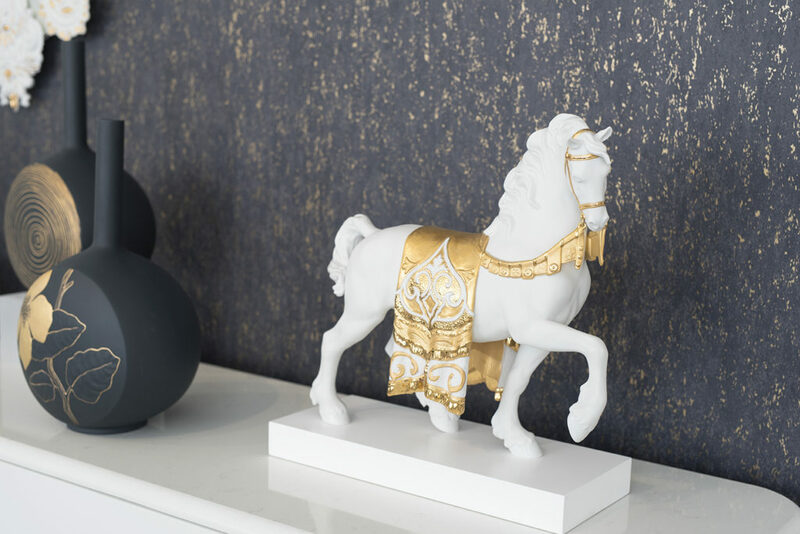 Lladro however, with their new collection has really created a world of modern pieces that are drool worthy! Of all their pieces, the Niagara Chandelier was my absolute favorite. It’s a beautiful chandelier with hand made fairies cascading through the air like a waterfall from the sky. I could imagine their chandeliers being placed in the lobby of a swanky hotel or at the center of a fancy modern restaurant. I also loved their firefly lamp collection because the lamps are portable! 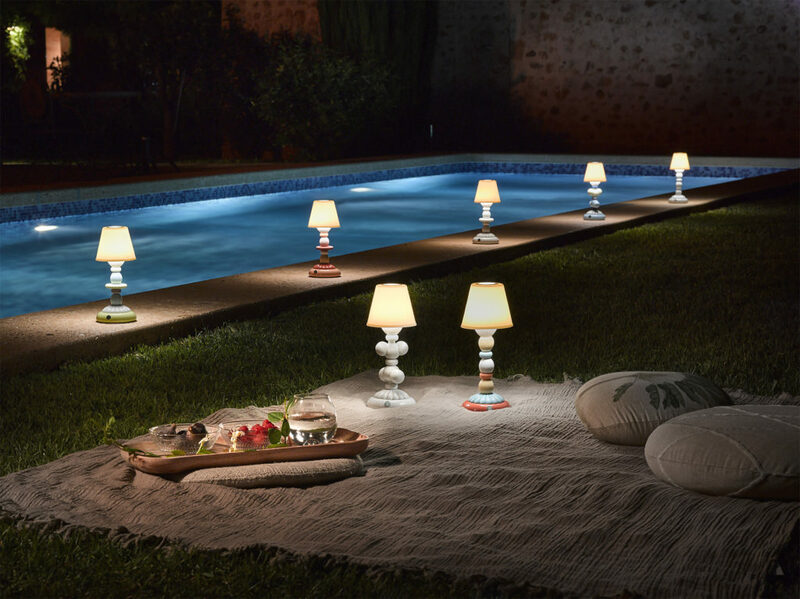 Since they are cordless and run on batteries they are perfect for outdoor settings like patios and backyards. Outdoor space for BBQs and get-togethers is one thing I miss about living in NYC! 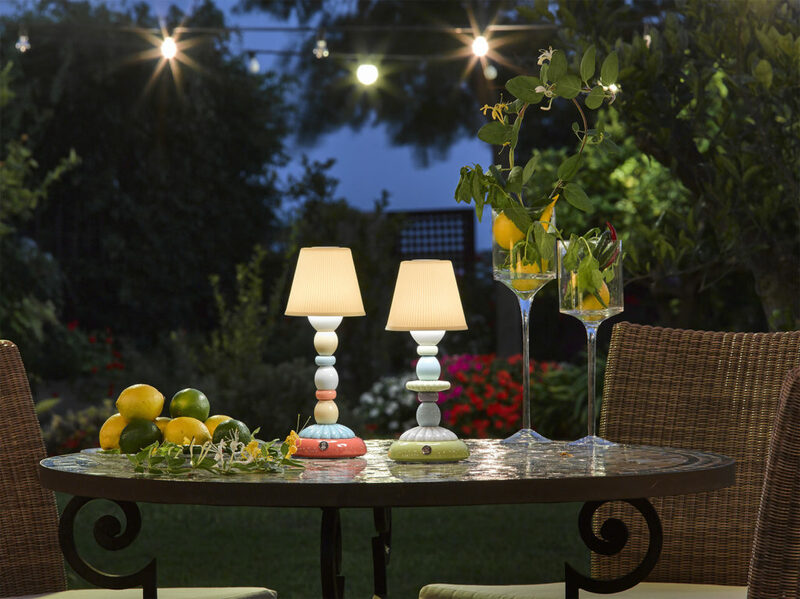 These lamps would be the perfect decorative accent for evening an evening with friends, a bottle of wine, charcuterie, and the brisk spring breeze. After browsing their collection, I sat down with the team to hear their thoughts on the design world and what inspires them! How was Lladro started, was it something the founders always wanted to pursue? Lladró began as an artisan workshop conceived back in 1953 by the three Lladró brothers, when they started to fire their first porcelains in the moorish kiln at their parent’s home. Truly passionate about art, they saw porcelain as a magic material in which they could give shape to their dreams. Lladró creates all our pieces in the City of Porcelain, located in Tavernes Blanques (Valencia, Spain). The first buildings were opened in 1969 and with the company’s global expansion they were enlarged to reach 100,000 sq. feet. How did the Lladro brand grow from a handmade shop in Spain to a globally recognized brand in multiple countries? Through the passion of our loyal consumers. Thanks to them, the company started its success and growth, which led to further investment in artistic and technical capabilities, the key for the evolution of the brand. It all starts with the creation of a quality product. What is the process for making a typical Lladro piece, it is all made by hand isn’t it? Every Lladró piece of work is the result of a laborious artistic process. Sculptors follow their own inspiration but also perform, if the work requires it, a meticulous process of research and documentation. This is often the case with pieces or collections that reflect other cultures. Every Lladro creation begins with an artistic inspiration. The sculptor then makes the first sketch of the new figure in clay, which is examined and approved by the Creativity Committee, made up by many members, one of whom comes from the Lladró family. The sketch, in clay, is reproduced in plaster to provide the first mold, which will in turn become the definitive mold for the porcelain figurine. Where does the team get inspiration from for the designs? Our sculptors get inspiration from their own passions, their trips around the world and art history. Then, the different markets where the brand has presence also send suggestions and ideas driven by customer’s preferences. But every new piece needs to go in line with the company’s DNA. What does the future of Lladro look like? Always in a permanent evolution, Lladró reivents itself in its new classics, featuring bright colors, original shapes and innovative textures. We are excited to continue producing beautiful lighting and décor pieces for homes and commercial spaces, as well as continuing the tradition of Lladró with classic sculptural items. We have many new collections and pieces to debut, and we’re very excited about the newness to come. You mentioned the idea of going into restaurants and hospitality. What would be your dream restaurant or chef to work with and which pieces from the Lladro collection do you think would go best? We are always excited to collaborate with architects and designers to incorporate our pieces into their interior projects. Our lighting fixtures are beautiful and have a bold presence which makes them the perfect focal point for a hotel lobby or restaurant dining room. 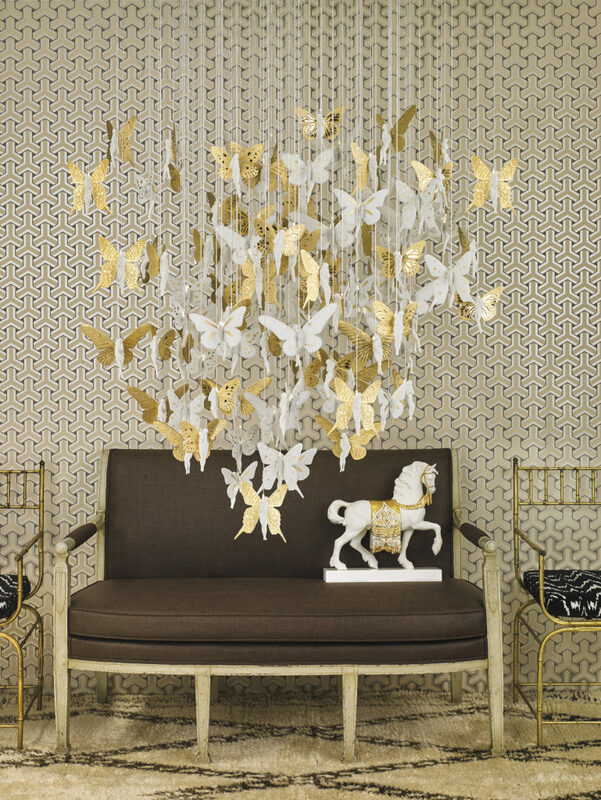 Or Belle de Nuit collection of chandeliers is our take on a classic chandelier, yet made entirely of porcelain. This collection is especially suited to hospitality spaces because the colors and dimensions are fully customizable. This versatility ensures that it will blend seamlessly with its environment and make a lasting impression. I’m absolutely obsessed with Niagara chandelier, what is the story behind that? The Niagara Chandelier is part of our Re-Cyclos collection, a collaboration with German designer Bodo Sperlein. He takes as inspiration the iconic Lladró fairies to create a collection of totally contemporary chandeliers with a new function and a new message. Each one of the fairies hanging on the fixture is handmade following our entirely artisan process of production. Pure creativity combined with the latest in fiber optic technology produces subtle points of light that fall in cascade and bring the fairies to life. If you were talking to someone who is looking to get into design and potentially start a product company of their own, what would be your key advice for getting started/breaking into the biz? Creativity, passion and quality are key elements in any object. It is what gives that extra that makes it successful. It gives authenticity to a product. Overall, the collection was absolutely stunning and really inspired me to learn more about design and how different pieces can add to the vibe of a space. I would definitely recommend checking out Lladro pieces in person if you are close to one of their shops!